Jon Renau Elle! Master the classic come-hither look with this beguiling style. The SmartLace front and monofilament cap of this long bob allow multidirectional styling for a super natural look. 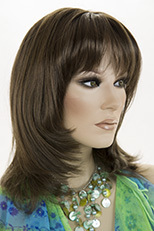 Long straight costume wig with Cleopatra bangs. The hair is 25 inches long, with bangs, which are 7 inches long. Half the wig is one color and the other half is another starting at the center part. Short classic style men's human hair wig! Premium quality human hair wig, which is extremely natural looking for men. See item details for available colors. Simple and elegant, this commanding shoulder-length bob creates the look of natural growth with a SmartLace front and hand-tied monofilament top and crown. 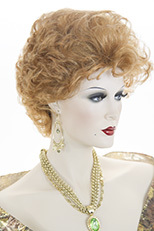 Short, soft, wavy, layered wig which falls just above the shoulder. Classic glamorous style! See item details for available colors. Long luxurious premium quality human hair wig! Featuring a natural looking skin top, which is 5 X 4 inches in size for ease of styling. The hair may be parted in any direction. 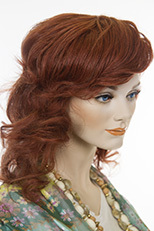 This lovely wavy wig is 23 inches in length. See item details for available colors. Natural looking, premium quality human hair, classic, short, layered style men's wig. See item details for available colors. Chic, short, medium length, straight, lace front, human hair blend, heat o.k. wig. The length is approximately 12 inches. The hair is 50/50 blend with human hair and futura Kanekalon fiber. See item details for availble colors. 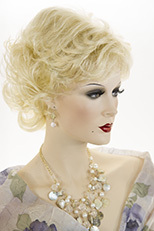 Striking medium length wavy style wig, with glamour reminiscent of the past! 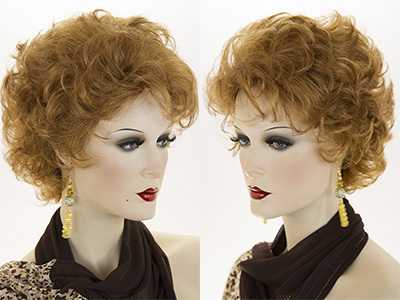 Premium quality wig perfect for street wear, as well as a perfect theater period style! Available in natural shades of blonde, red and brunette. See item details for available colors. Using Jon Renau's exclusive Renau Naturals coloring technique, which achieve gloriously natural hues without dyes will give you unlimited options for coloring or highlighting your wig. 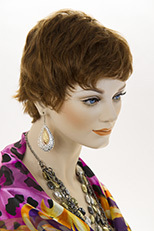 Second to none, this SmartLace wig exemplifies the beauty of short shag styles with hand-tied remy human hair, a lace front, and monofilament cap construction. A chic short, wavy, layered style wig! Natural looking shades of blonde. See item details for available colors.